The former Foxhunter pub in Lucan has been put back on the market by agents Savills, with estimations that the lot could achieve a sale valuation of €3m. The property, situated between the villages of Lucan and Palmerstown, sits on a 3.1 acre site with 127 metres of frontage and is surrounded by stone walls and mature hedging. The agent suggests that the property could be of interest to retailers, forecourt operators, food and beverage providers, and speculators. 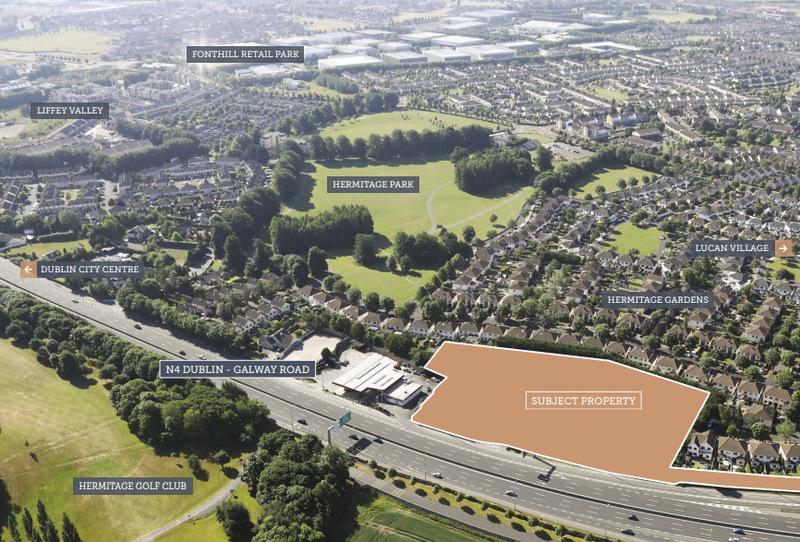 The site is zoned for a number of uses, including a car park, motor sales outlet, small office space of less than 100 sq m, warehouse and wholesale outlet. The site has historically been zoned residential, and in 2005 planning permission was granted for 14 semi-detached and detached houses. This development never went ahead and permission has since lapsed. Potential developers would require a chance of current zoning to build houses on the site. The Foxhunter pub as a storied recent history. In 2007, at the height of the boom, it was sold for €17m with intentions to redevelop the site for retail and apartment use. This never went ahead, and the pub closed in 2012. In 2014, Avoca purchased the lot and announced plans for a new upmarket café and food market, on the back of a €3.7m investment. However this plan was later abandoned.